Small groups of instruments have been very well served by classical composers: there are huge numbers of brilliant and beautiful trios, quartets and quintets. However, musicians have also penned an array of interesting pieces for larger chamber groups, where there is much less consensus over the exact combination of instruments to be used. Some were the product of pure imagination, some resulting from requests for works similar to popular pieces of the day for live concert programming. In many cases the combination of delicate solo passages, powerful climaxes played by a whole group and complex textures with different lines weaving in and out of each other can be little short of irresistible. Beethoven – Septet: Popular piece in the early 1800s, written for a clarinet, a bassoon, a horn, a violin, a viola, a cello, and a double bass. Particularly notable is Beethoven’s very prominent clarinet part alongside that of the violin. Schubert – Octet: By adding a second violin to Beethoven’s line-up, Schubert created the classic octet. Six movements spanning around an hour showcase his mastery of melodic themes and bittersweet emotions, with the third movement forceful and grand. Louise Farrenc – Nonet: There aren’t that many pieces written for nine instruments in the standard repertoire but this is a superb effort, showing the remarkable Farrenc’s gifts for complex, interweaving part writing and interest in 18th-century formality. 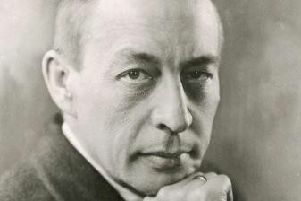 Schoenberg – Verklaerte Nacht: With a title meaning Transfigured Night, this sumptuously Romantic string sextet tells of a man who assures his lover that their relationship can survive and blossom even though she is carrying someone else’s child. Stravinsky – The Soldier’s Tale: A theatrical piece performed by violin, double bass, clarinet, bassoon, cornet, trombone, and percussion, telling a Russian folk tale involving a deal with the Devil. Stravinsky loves the unusual musical colours and acidic sounds at his disposal, combining them with his distinctively angular approach to writing themes.